John Raber (left) receives a Resolution of Appreciation from Truckee Sanitary District Board President Denny Anderson. The Truckee Sanitary District announced the retirement of John Raber after 33 years on the job. Raber, whose last day was July 14, was a field operations supervisor He ran the district’s construction program. Raber, who was born and raised in Truckee, came to work for the district in 1984. Raber said he has no plans to leave the Truckee area and looks forward to spending more time with his wife, Tammy, children, and grandchild. 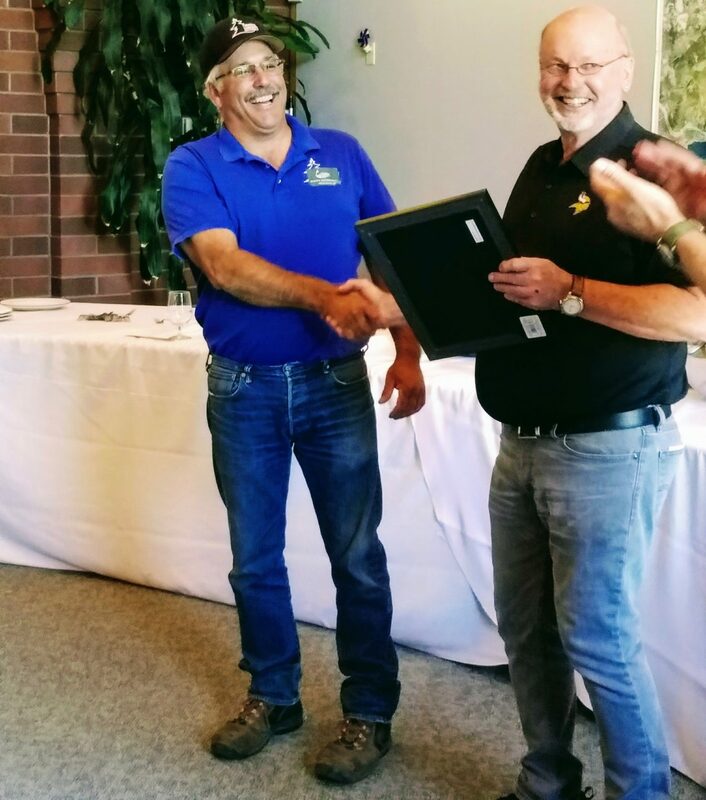 At his retirement luncheon, TSD Board President Denny Anderson, presented Raber with a Resolution of Appreciation for his years of service to the district and wished him the best in his retirement.